Hall of Fame Experiences offers an unrivaled way to be a part of the Super Bowl weekend. Enjoy premium seating options, exclusive access and insider extras only available to VIP guests. Don’t miss this all-inclusive experience complete with VIP tickets, Official Pro Football Hall of Fame Parties, the opportunity to meet Pro Football Hall of Famers, and much more. 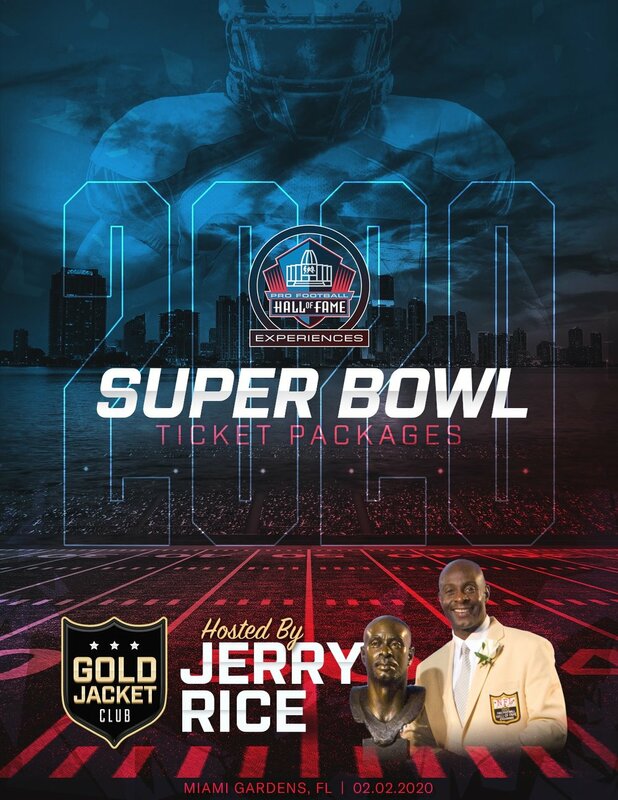 Each of the below packages include a 3 hour pre-game at the Gold Jacket Club which will be hosted by NFL legend Jerry Rice and will feature appearances by Current Players, Alumni & Gold Jacket holders. Each option includes a different category of match ticket and different hotel options. The grand finale of the NFL season has become the biggest media and sporting spectacle in the U.S and abroad. Miami, Florida will be hosting the Super Bowl in February 2020. Experience Super Bowl LIV as a VIP! 2020 Super Bowl Ticket Packages are on sale now for the authentic football experience that cannot be matched by anyone else. This event without a doubt generates more excitement than any other event on the annual sports calendar and nothing compares to experiencing the excitement of this event first hand with your guests. We have access to brilliant hotel accommodation, Super Bowl tickets, pre-game VIP hospitality and the most sought after Super Bowl parties, Euro Events London is your source for the best Super Bowl packages as well as hotel accommodation and VIP transfers. 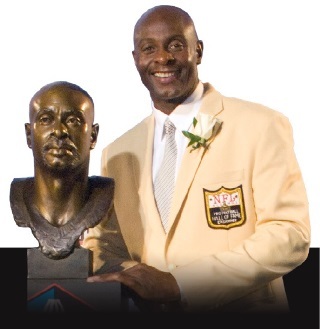 With his name permanently engraved in the record books, Jerry Rice is the most accomplished wide receiver in the history of the sport. Rice holds five NFL all-time records, including most career receptions, receiving yards and total touchdowns. Over the span of his 20-year career, he went to 13 Pro Bowls, was named First-team All-Pro a record-tying 10 times and led the league in receiving yards and touchdowns six times. As a member of the San Francisco 49ers, Rice won three Super Bowls (1988, 1989 & 1995). Rice was named to the NFL’s 1980s and 1990s All-Decade Team, as well as the NFL 75th Anniversary All-Time Team. Reserve your Super Bowl LIV package now and experience the full excitement of Super Bowl Sunday in person. Please contact us to receive more details on attending the Super Bowl live in VIP style in February 2020. The term Super Bowl is a trademark of the National Football League. The use of this term herein is for factual description purposes only. Euro Events. is in no way associated with or authorized by the NFL. The NFL has neither licensed nor endorsed Euro Events to sell goods and services in conjunction with the Super Bowl.